Asafa Powell is officially off the market. 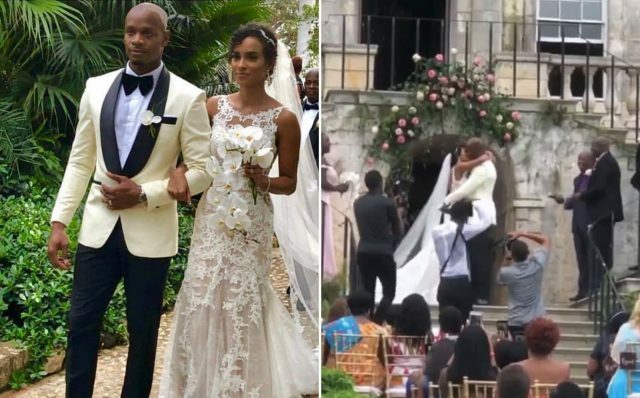 Powell and his fiancé Alyshia Miller exchanged vows Saturday in a beautiful ceremony at the Rose Hall Great House in Montego Bay, St James, Jamaica. Congratulations to the Jamaican Sprinter, you may kiss the bride. The couple were engaged since 2018 . Happy to support the amazing work @ClaraLionelFdn does around the world tonight at the #DiamondBall! Powell has two children from a past relationship.